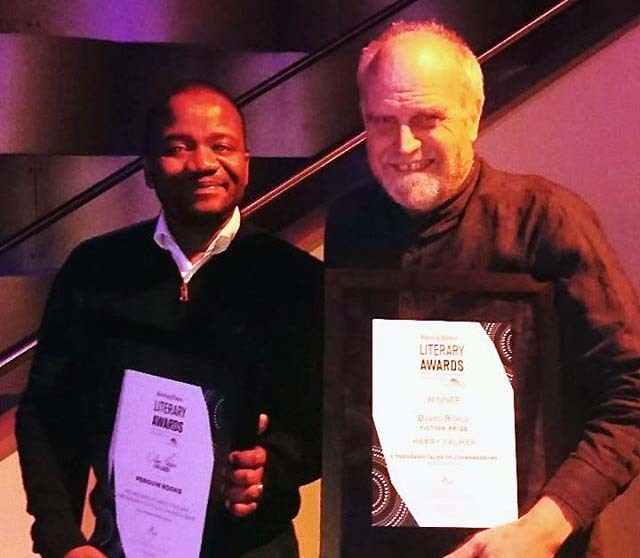 The Sunday Times Literary Awards 2018 winners Bongani Ngqulunga and Harry Kalmer were announced at a ceremony in Johannesburg, South Africa on June 23, 2018. The Sunday Times Literary Prize was founded by South African newspaper The Sunday Times in 1989. It is divided into two categories of fiction called the Barry Rouge Prize and nonfiction called the Alan Paton Award. This prize has been won by some of the best writers in the Southern African country including Zakes Mda and Greg Marinovich (2017), Pumla Dineo Gqola and Nkosinathi Sithole (2016), Jacob Dlamini and Damon Galgut (2015) and a host of others. They include Sifiso Mzobe, Nkosinathi Sithole, and Imraan Coovadia in fiction and Redi Tlhabi for nonfiction. The awards cycle as is won’t this year started with the longlists being announced for the Barry Rouge Prize 2018 and the Alan Patton Award 2018 in April. That would be followed in May with the shortlists for the two prizes with five books in the running for the awards. The winners were announced at a glittering ceremony at The Venue, Melrose Arch in Johannesburg, South Africa. Bongani Ngqulunga would be announced as the winner of the R100,000 Alan Paton Award for Non-fiction for The Man Who Founded the ANC: A Biography of Pixley ka Isaka Seme. The winner of the Barry Rouge Prize is Harry Kalmer for A Thousand Tales of Johannesburg. The keynote address in the evening was given by Tracy Going who has written the memoir Brutal Legacy. Previous Previous post: Kistrech International Poetry Festival 2018 for October. Next Next post: Writivism Short Story Prize 2018 longlist announced.